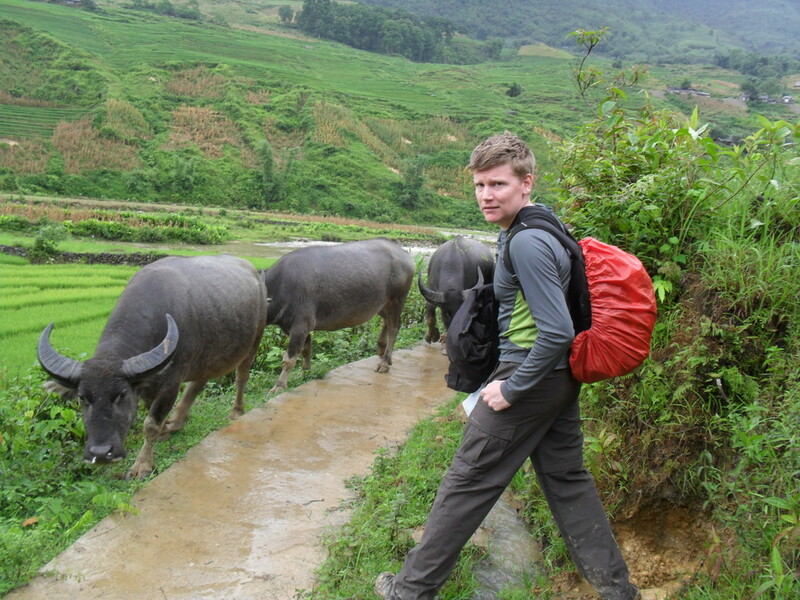 So you’re looking for the best Sapa trekking experience? Well you’ve come to the right place! It can be quite a daunting challenge when planning a Sapa trekking tour, given the huge amount of information and advice online! In this guide, we’ve simplified the planning process, making it as easy as possible for you to book the best Sapa trekking tour for you! You can also click on any of those headlines to take you directly to that section in the guide. There are two options for you: take the train or go by car/bus. And you can book these independently or book them as part of a tour. 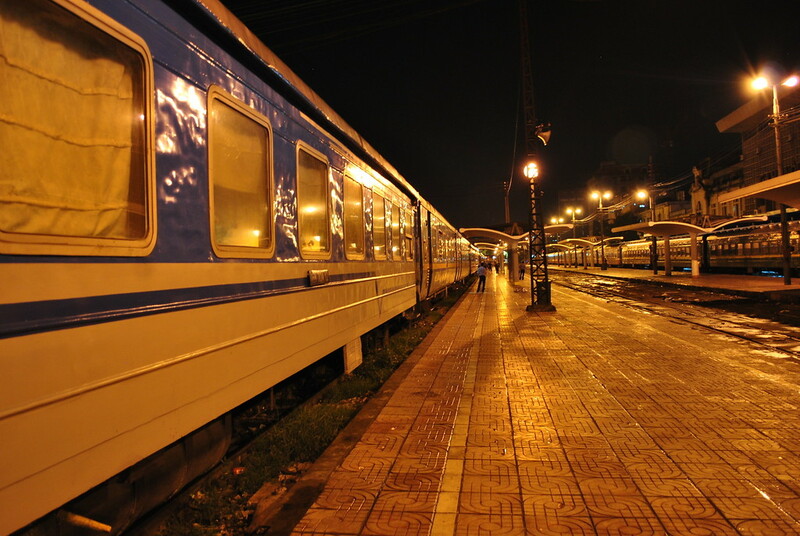 Taking the overnight train saves you two nights accommodation! The other major bonus is you can book your train online, and more importantly, in advance instead of waiting until you get there. This saves you having to go to the station booking office and trying to book something last minute there! To book your train online, the best website by far is 12go.asia. There you can book your Sapa train, as well as any other journeys you may have in Vietnam, and the rest of South East Asia! You can also take a bus direct to Sapa from Hanoi, with a number of operators. This takes around 6 hours, with most services departing early in the morning. Again you can book these advance through the links above. The other option available to you is to book a tour that includes the train/bus option, but each tour provider will provide different options for this service and you’ll need to check with each of these operators separately. 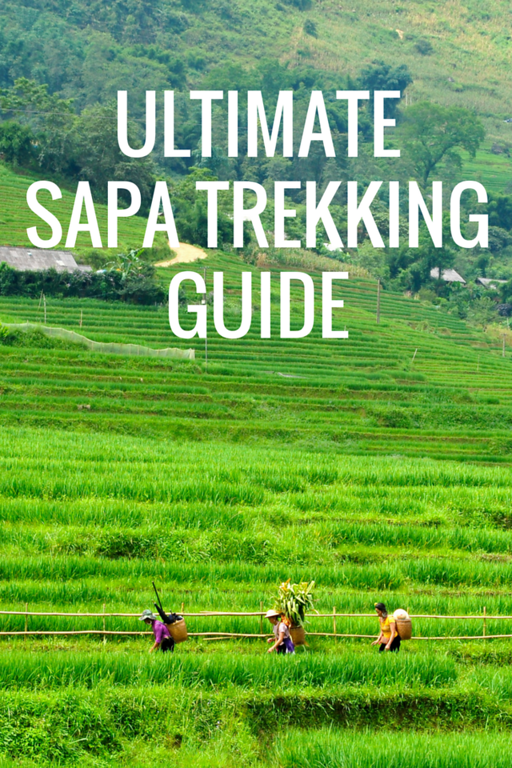 In this section we’ll give you some advice on how to pick the best Sapa trekking for you, including how many nights to go for (and why), a detailed breakdown of each of our days trekking, and how to pick the right tour company for you. If you want more details, including our top tips, read on! Sapa is a small town, nestled deep within the rolling green highlands of Vietnam, and as such offers some incredible scenery. 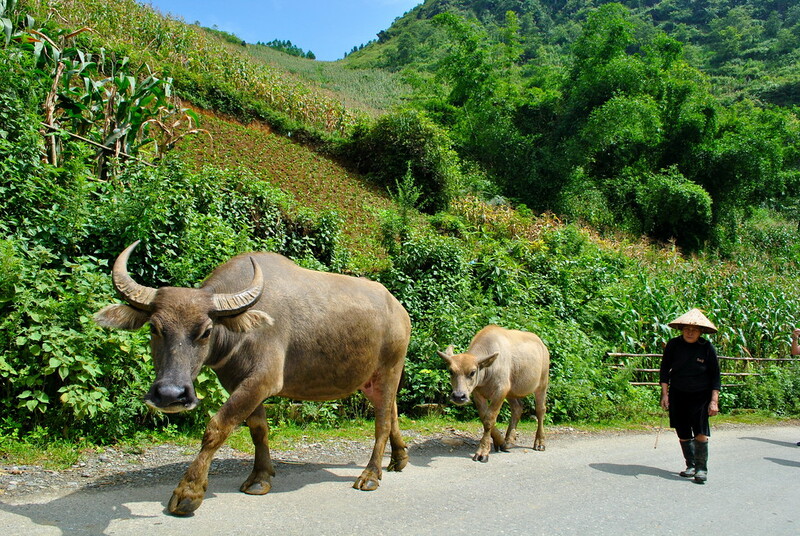 However, Sapa is a very popular destination for travellers, with many only coming for a one day trek before returning to Hanoi. This means there are many groups leaving at the same time as you from Sapa, so the longer the trek you take, the further you’ll go from Sapa, the quieter it’ll be and the more impressive the scenery will become! So don’t scrimp on this, if you’re coming all the way to Sapa, spend at least 2 nights on the trek at the very minimum! You’ll thank us later. The first 2 hours of our trek involved mainly a steep descent through muddy hills which curved and cut through many farm houses, rice paddies and villages. We welcomed our stops along the way to take in the stunning scenery of the many mountains, valleys and local villages. At our first village we observed a local woman dying clothes for local families. Having never witnessed clothes being dyed using natural flowers and techniques before, it was fascinating to learn the process they use and watch the weaving process using this old device. Despite being humble and shy about her skills, she was keen to highlight their local traditions. In the afternoon, we passed through more villages and met many local people chopping bamboo to build homes and market stalls, making handicrafts such as incense sticks and sometimes negotiating the sale of a water buffalo to another village family. 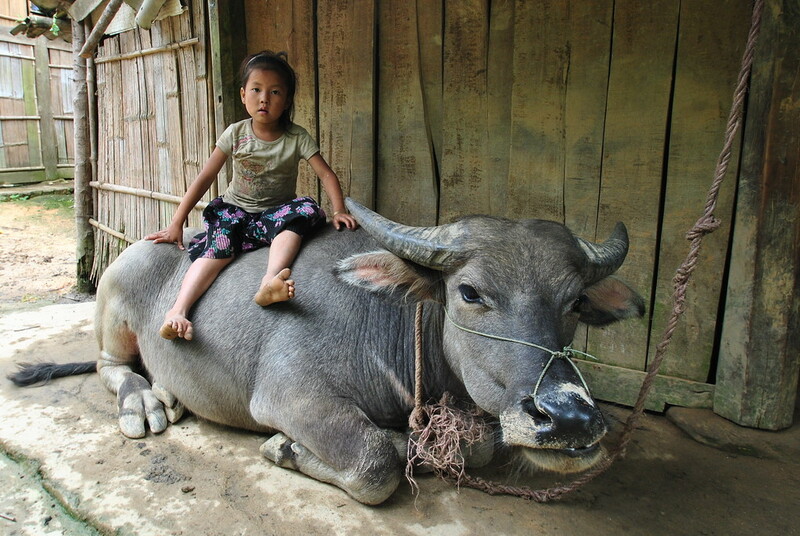 Water buffalo are very expensive animals due to the many roles they adopt on the farm including towing the rice plough, carrying supplies from one village to another, guarding the other farm yard animals and of course providing high protein meat to sell to markets. After around 6 hours of trekking, the last hour was really tough (as it always seems to be!). With tired legs and steep terrain, we felt the intense heat of the sun beating down on us and struggled to avoid losing our footing and landing in many deep muddy ditches! We later found out that many local people have to trek this tough terrain on a daily basis to make their way home from work or school, as there aren’t many paths or direct roads. As many can’t afford a car or motorbike, trekking by foot is the only option. With typically a 2 hour trek to most schools in the area, it’s no wonder that many children don’t go at all and would rather spend the day helping their family on the farm or selling handicrafts to passing tourists. After realising this, I decided not to complain about my tired legs and mud covered trainers! I’m not sure I could make this long journey on a daily basis, but this was normality for the strong and resilient village people we met. After a long day we were relieved to arrive at our final destination. Our home for the night was set deep in a lush green valley next to a large gushing waterfall. 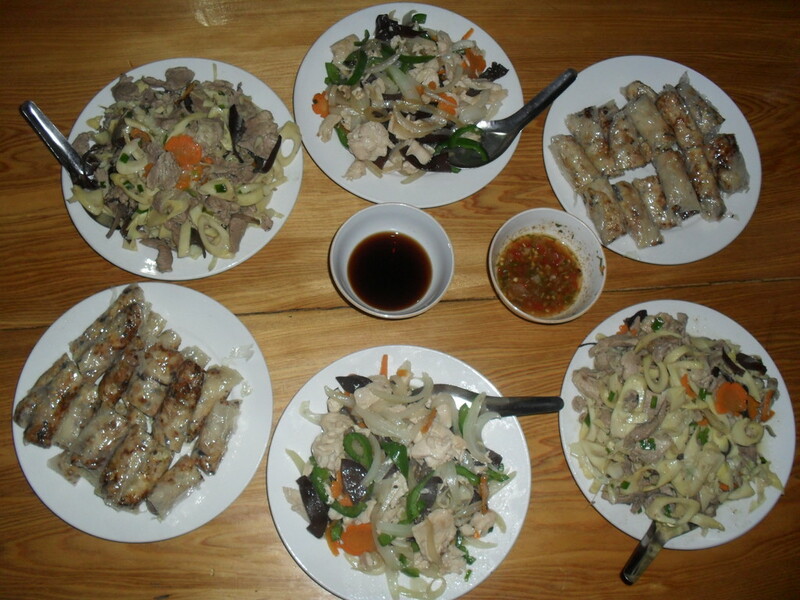 After a warm welcome from our lovely host family and a much needed cup of herbal tea, we helped prepare our feast for dinner (well I rolled some spring rolls!) 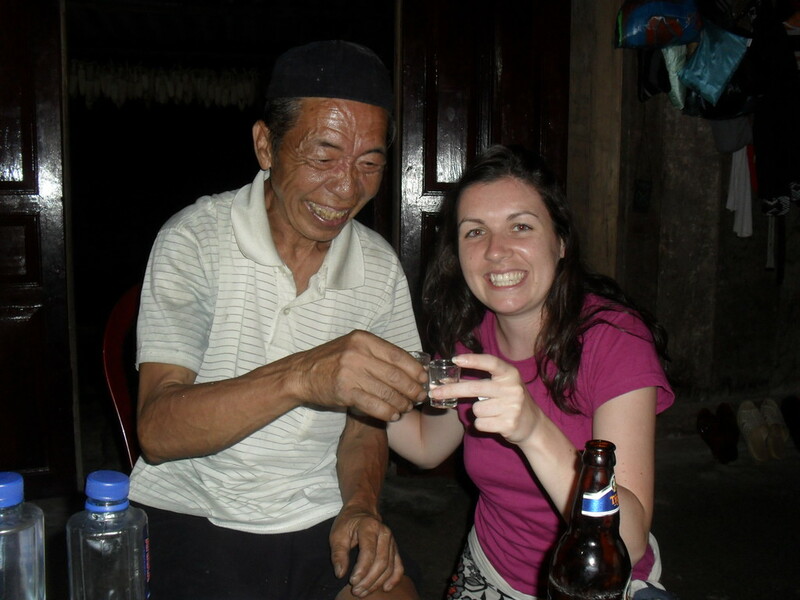 and relaxed our tired limbs with the help of the favourite local drink of choice – homemade rice wine! Some other friendly locals joined us and delighted in leading the consumption of shot after shot, getting progressively more merry. Thankfully for us though, there were no sore heads the next day due to the purity of the homemade liquor process – ideal for our new farmer friends too with a 4am start! Homestays are probably the best part of a trekking adventure, you really get a chance to meet and interact with real locals in the middle of nowhere. In our travels, we been invited to a village wedding in Vietnam, eaten sheep head with berbers in Morocco and got engaged at a homestay in Lake Titicaca in Peru. The next morning we woke to heavy rain and flooding in the valley. On came the waterproofs and we set off on another day of trekking. The heavy rain was incessant throughout the morning, and got progressively worse by the afternoon. It didn’t dampen our spirits, as we really enjoyed the coolness of the rain compared to the intense sun we’d experienced the previous day. After a couple of hours we were soaked through to our skin, and decided to embrace the mud! After trying to avoid every mud ditch the previous day, we found ourselves just getting stuck in and got as muddy as we liked as we knew the rain would wash it quickly away! Keen to get to our final destination towards the end of the day, we decided to take as many short cuts as possible and no longer cared about following paths or roads, sometimes finding ourselves almost knee deep in mud sliding down the side of hills and celebrating when we managed to avoid falling down head first! Our second homestay was even nicer than our first and thankfully had the luxury of a much needed hot shower – result! So after a long soak to heat us up, we were treated to the best tasting hot garlic chips and homemade prawn crackers, followed by a beautiful meal of chicken and pork stir fry with rice and an ice cold Tiger beer – heaven. The following morning, after another night of solid rain, almost every item of clothing we had with us was damp – yuk! We just couldn’t face putting on damp clothes again so decided on the only rational course of action left to us, to put on our only dry clothes left. Sadly for us, the only dry clothes we had left were our pyjamas! Imagine the sight, each of us walking with backpacks on through the mud to our mini van for a ride we’ll never forget. The heavy rain of the previous 36 hours caused flash floods from the top of the mountains, crashing across many of the roads we needed to use to get back to Sapa. Our driver had to navigate us along roads that had become rivers, one of which was running so fast we had to drive as close to the cliff edge as possible to avoid the torrent. It was at this moment I closed my eyes and held my breath, too scared to look at Barry! Relieved to be safely back in the town of Sapa, we wandered around for an hour or so (still in our pyjamas) before the rain returned and we sought refuge in a coffee shop to dry off, relax and reflect upon our amazing adventure of the last three days, an experience we’ll never forget. As we said at the beginning of this guide, some of our best experiences occurred as we travelled further into the region, away from the hustle and bustle of Sapa, and we absolutely recommend you set aside at 3 – 4 days for this experience! For those wishing to travel to Sapa independently, you can book your train/bus/taxi tickets online in advance using the search form below! These photos are gorgeous! The views remind me of Bali. This is a really interesting post, but I just had a little question for you. Did you go via an organised tour? Or did you organise this yourself? We’re keen on the homestay idea, and we’re not sure how easy that is independently in Vietnam. Thanks! Hi Richard! We did go via an organised tour yes, we booked it in Hanoi as a four night tour (including two nights on the train there and back ) plus two homestays. You can organise yourself, but we wanted to go with a company known for making sure the money got to the intended villages, as sadly not all are equal in that respect. Hi Lourdes, it can be quite hit and miss with the tour operators there! For what it’s worth, we went with Ethnic Travel and had a great experience, but it depends on your group and tour guide. The homestays were comfortable and the hosts great (plenty of rice wine to drink!). We booked the Sapa trek in Hanoi yes, so it included train tickets being organised, the trek and the homestays. Hope that helps! What time of year did you visit? Would it be ill advised to visit in January? Hi Alyssa, we visited in August and it was clear one day and poured with rain the second day! So I guess the weather is never guaranteed! It will be cold in January, but some people report clear skies and some report thick fog/mist so its just your luck I guess. Good luck if you decide to go! Hi Laura. I was wondering did you carry your suitcase/ luggage with you on the trek or did the Sapa guides help you transfer your luggage from home to home? Hi Rachel, we took a small backpack with us on the trek with our valuables, and left our bigger backpacks in the offices of the trek company in Hanoi. So when we left for Sapa on the train, we only had our small backpacks with enough to keep us going for a couple of days. Worked out well for us, it depends on how you feel about leaving your bags in an office. You could always leave them in your hostel as well. Hope that helps! Great photos! Now I need to go back to Sapa and look up your tour guide. He/She took you to some great spots. Thanks Khanh it was a great trek even with the pouring rain! What did you do with all your stuff/backpacks whilst on the trek? (You mentioned it rained a lot so were all your electronics at risk of getting wet?Did you take it all with you or leave it back in a hostel prior to setting off? Hey Nad, it’s not a stupid question! The short answer is we carried our valuables with us on the trek, and left the big backpack in Hanoi with stuff we weren’t bothered about losing! It did mean I had some electronics in my backpack, but I didn’t really feel like I had a choice but to take it with me! Wasn’t much of an inconvenience. Take some plastic bags to wrap the electronics up in inside your bag, and use a rain cover if you have one as well as the rain can get pretty heavy! Sorry just seen you already answered my question! What were the top sights that you visited? Anything in particular that is a must-see? Did you see many people (tourists) on motorbikes? I’m wondering if it is a good place to both hike, and spend a day seeing the mountains on motorbike. Were there a lot of tourists, and did that ruin the experience at all? Finally, approximately how much is the 4-night Trek, when all is said and done? 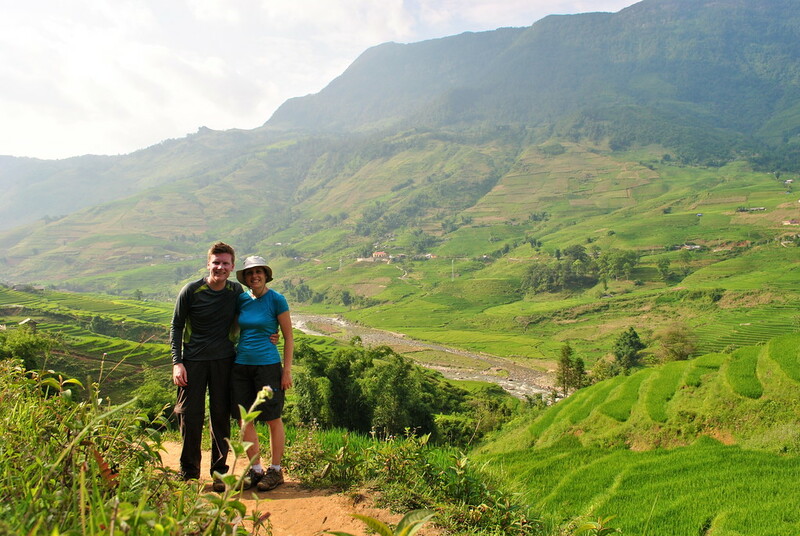 Hi Michael, we didn’t visit any specific sites – we just took a trek through rice paddies and rolling hills which was exactly what we were looking for. At the start of the trek, you’ll probably see quite a lot of tourists but after a few hours we didn’t really see any other groups for the next couple of days. It all depends on the route you take, and how long you trek for. The longer the trek, the further you get away from the crowds. We didn’t see any motorbikes when we were there so can’t help you on that, and your best bet for a price would be contact a few tour companies and ask them as we did this trek a couple of years ago now. Good luck! Thank you for sharing this valuable information, I’m planning a trip to Vietnam in April, and I would like to go to Sapa, Some people recommend to go independently all the way to sapa and, once you’re there look for a guide, and he would arrange the homesteads, did you guys look into that? Hi Juan, we did look into that yes but decided we preferred to have the trek booked in advance and also get the train tickets as part of the deal! It is possible, although because we didn’t do it that way we don’t have any specific advice for you! I would like to update that the best way now to get to Sapa from Hanoi is by bus, thanks to the new highway it takes only 6 hours…as you can see wrote here and in this website the train takes much more time and it is more expensive. Thanks for the updated info! We havent gone by bus ourselves but at least there is another option to consider! Hello! This is an absolutely great article, it’s exactly what I’m hoping to do this fall. Could you email me the name of the company you used by chance for the tour in Sapa? I’d also like to make sure I used a legitimate one! 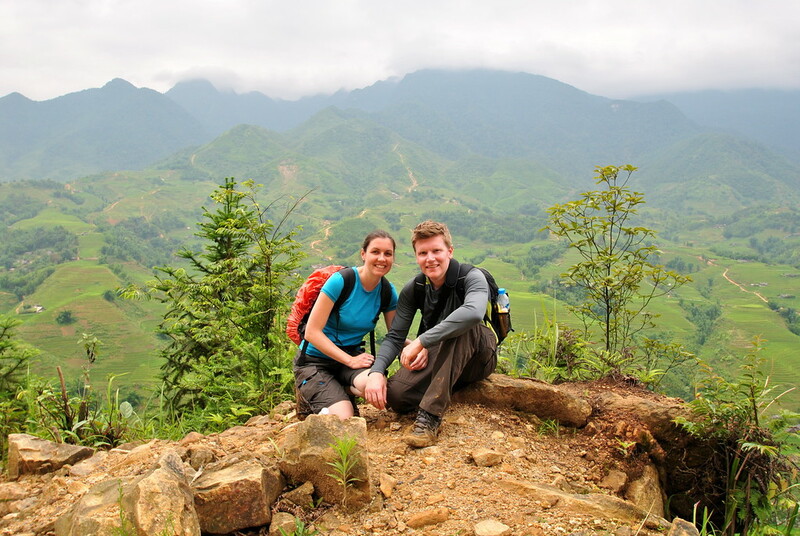 Two additional questions, if you could – You mentioned you left your big backpacks in Hanoi while you treked in Sapa. Where did you leave them? Is there a hostel that kept them while you went up to Sapa? Secondly, Did you wait until you got to Hanoi to book the tour, or would you suggest booking this tour in advance, before leaving the US? Thanks so much! I’m really looking forward to the trip! Hi Jackie, sounds like you’ve got a great trip lined up this year! We used Ethnic Travel (link is in the article) for the tour, so we left our big backpacks in their office in Hanoi. As for booking in advance, we prefer to make a booking in advance if we know we’re definitley going and we know the dates, so if you’ve got a fixed plan there’s no harm in contacting them in advance to plan your trek! What an incredible experience! 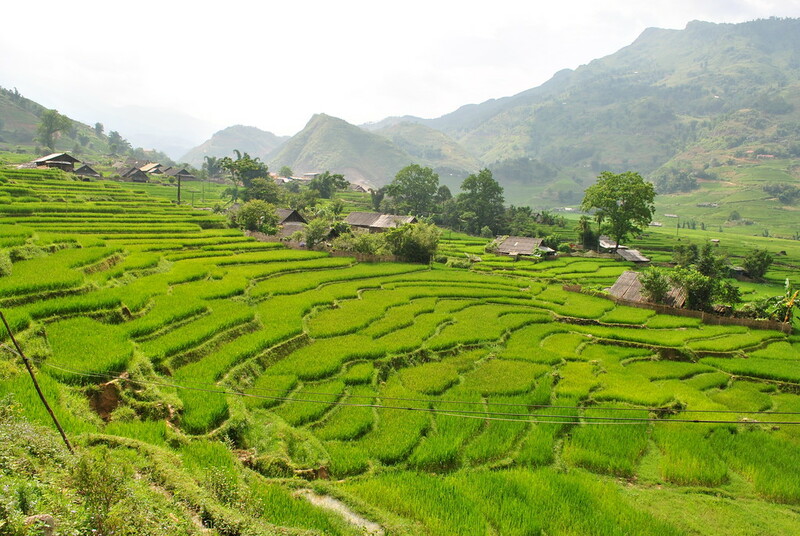 I noticed that you’ve trekked/homestay in both Northern Laos and Sapa. My husband and I are planning a trip to Laos and Vietnam in January and will only have time for a trekking trip in one of the two countries. 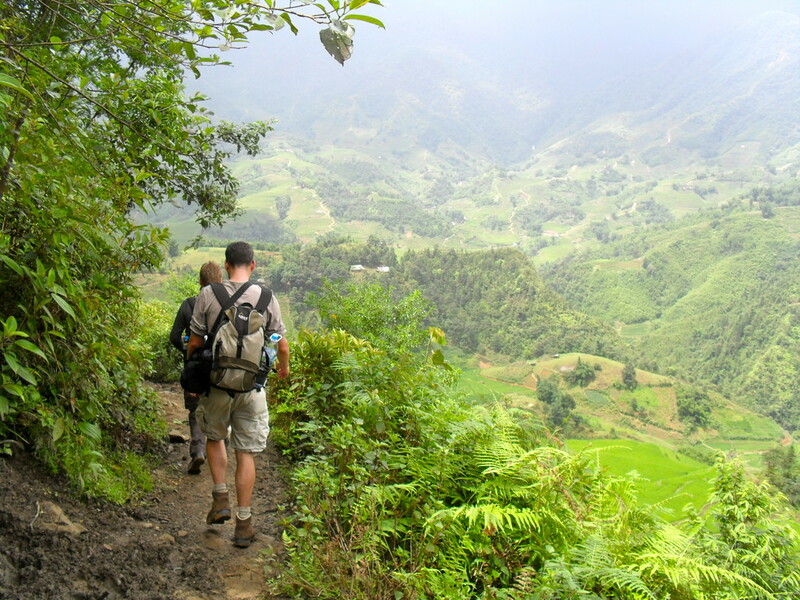 Based upon your experience, would you recommend trekking in Laos or Vietnam? Hi Rebecca! You’ve got the choice of two great places to trek! 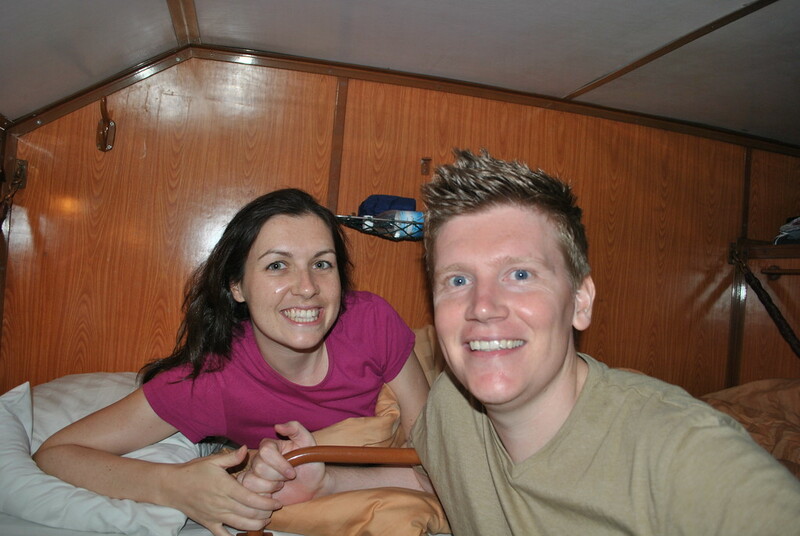 We had two very different experiences because of the weather – Laos was hot and sunny, Sapa was raining! Both would be good in good weather though, so I would say they were pretty equal. 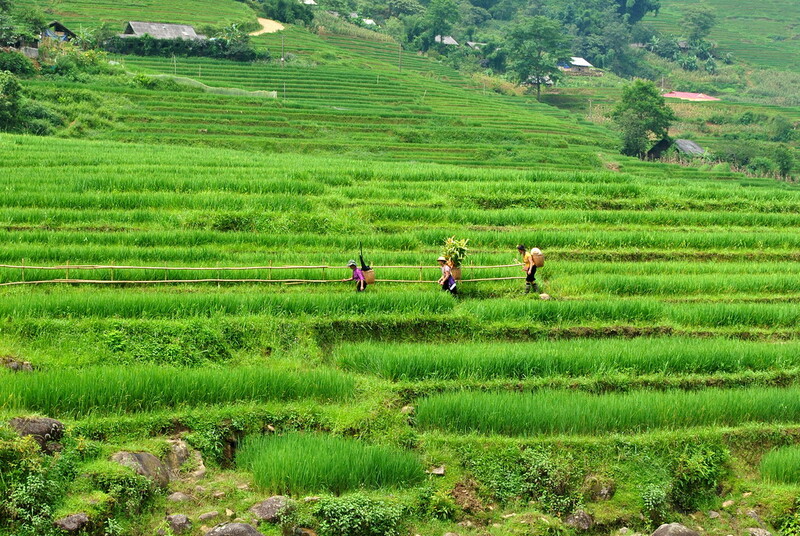 If you do decide to trek in Sapa, I would reccomend you try and trek further away from Sapa e.g. don’t just do a one day one night trek as you wont get to see much of the stunning countryside. Try and take a 2 or 3 night trek if you can and really get out into the countryside! Hej and thanks for a good blog. 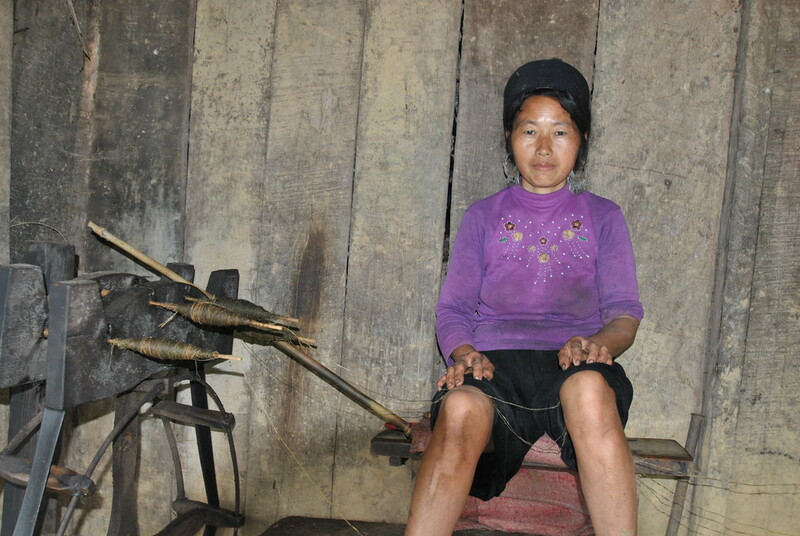 Was just wondering if your guide in Sapa was this girl Zaazaa? Her facebookside is Zaazaa Trekking .https://m.facebook.com/Zaazaa.Trekking. Anyways er were really pleased with s Zaazaa. Good englishspeaking and she was informative, affordable and we had a refelctive diskussions about Vietnam. Hey Cecille, thanks for your comment, yes our guide was called Zaazaa! I just came across our blog tonight and love it! Have you done a post about the camera/equipment you travel with? Hi Carolyn! We don’t have a post on the camera equipment we bring, but at the moment we shoot with two DSLR’s, a go pro and our phones! A lot of tech yes, but we need that to run this blog! Hi! I’m going there in April and was wondering what the usual cost of tour guide is for the trek? Also, how much the over night train is. Thank you for any help you can provide :). Hi Brittany! We don’t have the up to date prices for the trek sorry, but if you pop an email over to them I’m sure they can give you everything you need! Enjoy Sapa! I plan on treking through Sapa at the end of July and I will be traveling alone. Did you feel safe with Ethnic Travels when you guys did it. I know you did it together, but wanted to get your experience on using them as a solo female traveler. Also, same thing goes witht he homestays. Did you feel safe staying with them as well? You went at the perfect time. So green and lush. We loved the homestay as well. Amazing times! Thank for an informative post. I was smiling while reading on your troubles. I wonder which tour you booked and how much was it? Any extra fee during the tour? Thank you very much! Hi Mary, thanks for your comment! We did this trek with ‘Ethnic Travels’ and found them to be very good. I don’t recall any extra fees after booking.